The 25 microns cut-off inlet cylindrical filter cartridge (dimensions 30 mm x 100 mm) avoids the clogging of the sample inlet and protect the probe’s inlet tube and internal hydraulics from fouling. It has to be mounted directly on the sample line and it has to be cleaned regularly at the time of maintenance service. 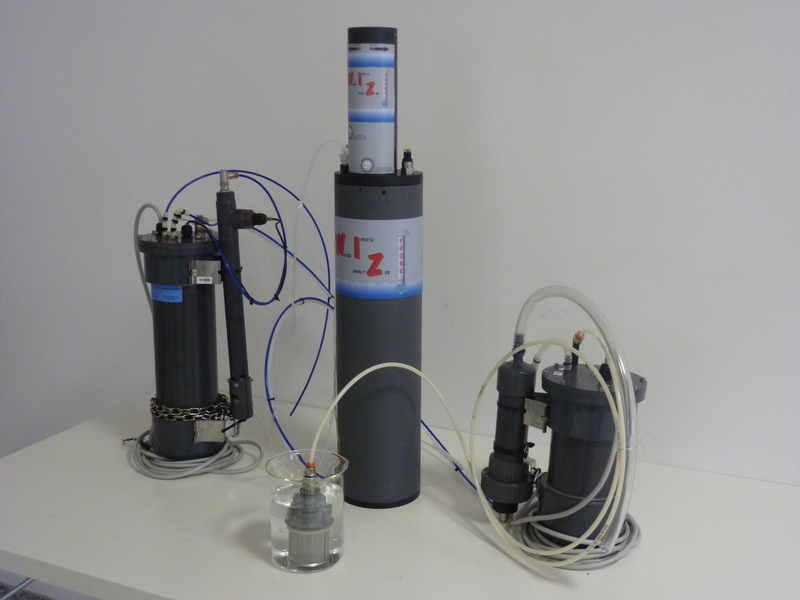 The same 25 microns cut-off inlet cylindrical filter cartridge is provided coupled with a compressed air generator and sample line rinsing pump: this device produces compressed air at 1 bar to clean automatically the filter; a secondary peristaltic pump updates the outlet of the filter to the inlet of the probe. This device has to be mounted outside water; the internal air compressor is protected by a water level sensor placed at the bottom of the device. The autocleaning and rinsing sequence is defined by a programmable internal timer. 250 ml storage bag, to store the filtered sample to be used for filter backwash after the measurement. 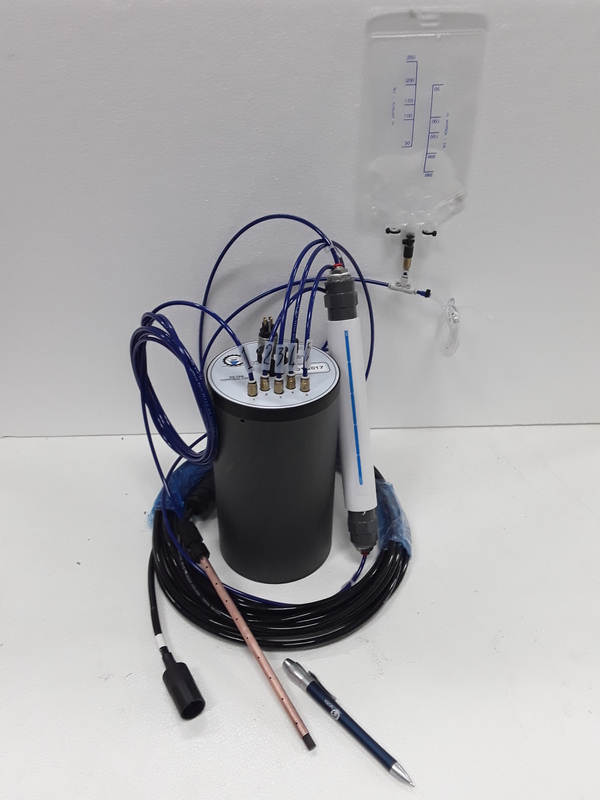 The WIZ variable depth sampling system can be used to allow the measurement of a water sample collected at various depths in a lake, lagoon or estuary, down to -50 m depth. 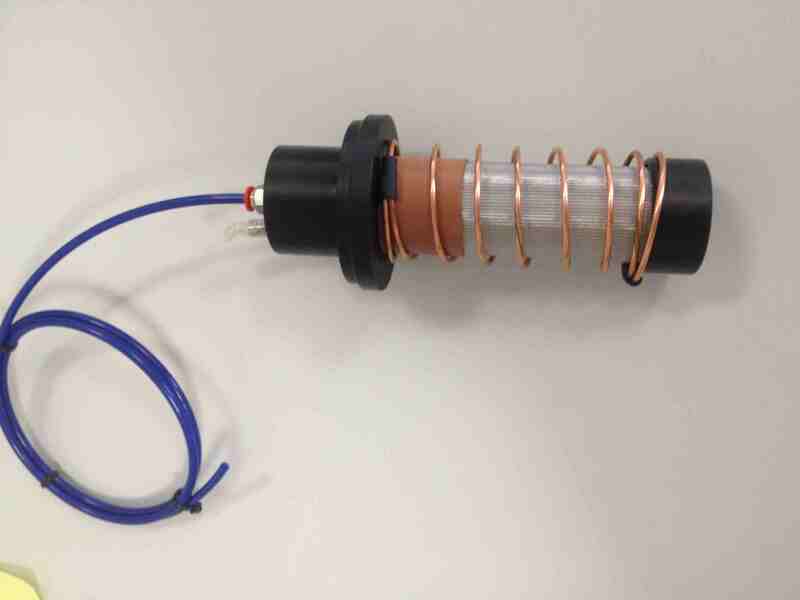 compressed air generator and sample line rinsing pump: this device produces compressed air at 1 bar to clean automatically the filter; a secondary peristaltic pump updates the outlet of the filter to the inlet of the probe. This device has to be mounted outside water; the internal air compressor is protected by a water level sensor placed at the bottom of the device. The autocleaning and rinsing sequence is defined by a programmable internal timer.